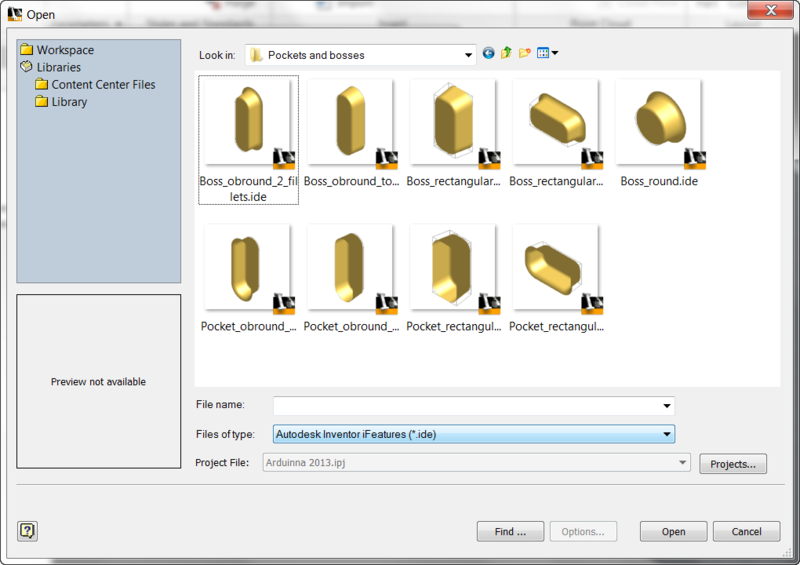 The Autodesk Inventor iFeature. I've described it as Inventor's version of an AutoCAD Block. When there's a repetitive feature that needs to be placed multiple times with repeatability, this is a place to look. 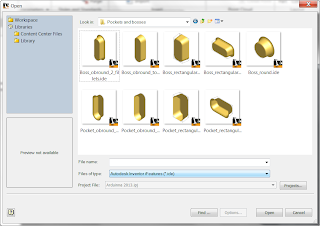 First, Autodesk Inventor has several iFeatures that ship with it. You can find them by clicking on the "Insert iFeature" icon. It's found on the Manage Tab. But the iFeatures Inventor has may not cover all the iFeatures that might be needed. In that case, new iFeatures can be created and added to the library. In my humble opinion, I think this is one of Inventor's tools that gets overlooked. While it may be an answer for every solution, there are definitely some places it can make a job go by a lot more easily. So there is a quite a bit to go over. So I'm going to break this particular blog into parts. So in the first part, I'll just show how we can create an iFeature, and place it onto a part. A couple of suggestions before the video, I like to create an "iFeature generator". That is, I create a component to build the iFeature. I do this because if I need to adjust the iFeature, I can return to the generator and make the adjustments I need. Trust me, I learned this one the hard way. In this case the hard way wanted to make an adjustment to my iFeature, but having to rebuild it because I didn't save it the first time! So to see how this iFeature was used, take a look at the video! And if you're looking for some additional iFeatures to use, try Charlie Bliss's site here! Jonathan you are a lifesaver (and moneysaver because all this information are available only if you attend courses or buy books). I'm glad you find my post helpful, Manolis! I'll definitely try to keep putting up helpful tips in the future! Great feature Jonathan, however, it is only available in Part files. We use Content Center steel shapes only and I do not think I can use ifeatures in assembly files, correct? You're correct. At this point an time an iFeature is a "part only" function. However, the Content Center is a fine way at add Steel Shapes to a library. That also allows you to use Frame Generator if desired. Hi, just getting started and keep finding my self stuck one or two steps in when there is something too subtle that i miss in how to click succesfully, or a menu doesn't have the option listed. I've inserted an iFeature, edited it's dimension, but when i go in sketch mode I cannot insert the xy dimensions to locate the feature where I want it. 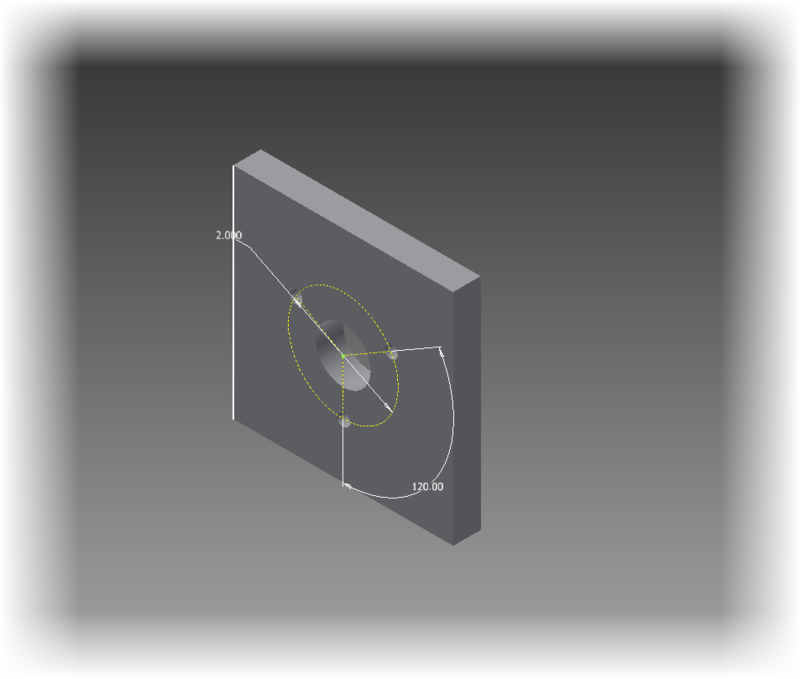 I click on dimension, but it doesn't seem to let me select the center of the iFeature (a hole) and then add dimensions. No clue how it is you are able to select this and I cannot. 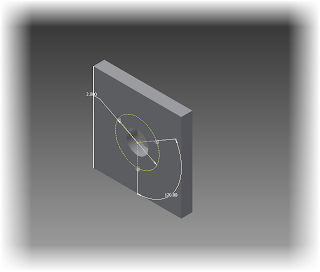 Editor, have you added a point (I use a sketch point) to the center of the sketch as a datum point? Also if you wish to edit a dimension place with an iFeature, you need to make sure you move it to the edit column when the iFeature is created.